Close to the California mainland, yet worlds apart, Channel Islands National Park encompasses five of the eight California Channel Islands and their ocean environment. The Channel Islands are home to more than 2,000 terrestrial plants and animals, 145 of which are found nowhere else in the world. Marine life ranges from microscopic plankton to the blue whale, the largest animal on Earth. Avian life encompasses landbirds, shorebirds, and seabirds. 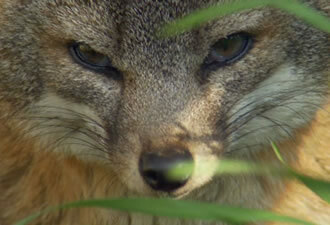 Terrestrial animals include bats and the island fox. Human inhabitants and visitors on the Channel Islands include the Chumash (a Native American people), European explorers, and Californian ranchers. These groups have contributed to over 12,000 years of human history here. 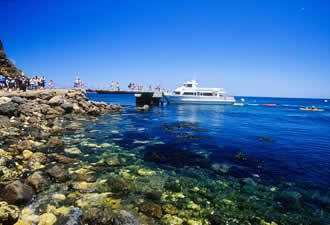 The national park includes the islands of Anacapa, Santa Cruz, Santa Rosa, San Miguel, and Santa Barbara. You can experience the riches of the Channel Islands on boat tours and whale-watching excursions; in hiking shoes, a kayak, and snorkeling gear; and by picnicking and camping. Activities abound in this world of natural wonders, which always offers a marked contrast to the bustle of contemporary southern California. Few people, however, actually see this park because it is not easy to reach. Visiting the islands demands a short but exciting voyage by boat or a flight in a small airplane. There is, however, a third way to travel to Channel Islands National Park – at no cost and with no need to pack. Although exploring the Channel Islands in person is certainly worth the trip, you can make a virtual visit via Channel Islands Live. 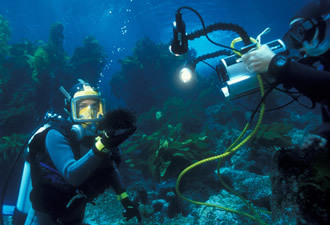 A partnership of the National Park Service and the Ventura County Office of Education, Channel Islands Live uses microwave signal broadcasting, video conferencing, and the Internet to take people from around the world on live, interactive dives and hikes on Anacapa Island. On the same island, a webcam provides views of seabird rookeries, the iconic Arch Rock, the lighthouse (part of the island’s 1937 light station), and the Santa Barbara Channel. Another webcam, in operation a few months each year, enables viewers anywhere to watch an eaglet in the nest on neighboring Santa Cruz Island. The Live Dive presentation allows you to experience a rare glimpse into a seldom-seen marine environment without ever getting wet. You will accompany trained national park divers on an underwater journey into the kelp forest, one of the most prolific marine ecosystems in the world. This summer, for the first time, park rangers will broadcast a Live Hike. This virtual trek will introduce you to thousands of years of human history, the last light station built along the California coast, and rare species of plants and animals. Channel Islands Live programs are broadcast Wednesday through Saturday, with a Live Hike at 11 a.m. PDT and a Live Dive at 2 p.m. PDT, from June 15 through Labor Day. So, there’s no excuse for not making a getaway to Channel Islands National Park. Make yours this summer, and if it’s a virtual visit, let it whet your appetite for a trip in person.